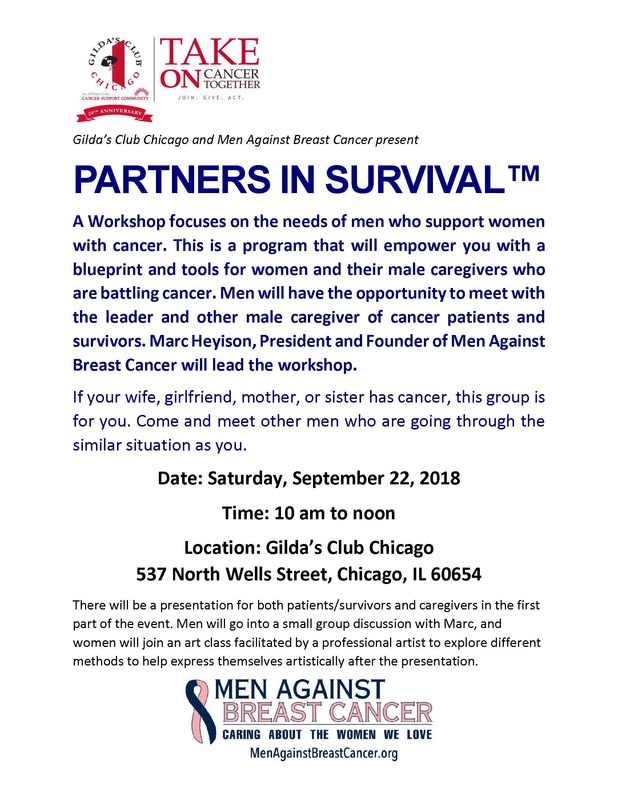 PARTNERS IN SURVIVAL™ A Workshop focuses on the needs of men who support women with cancer. This is a program that will empower you with a blueprint and tools for women and their male caregivers who are battling cancer. Men will have the opportunity to meet with the leader and other male caregiver of cancer patients and survivors. 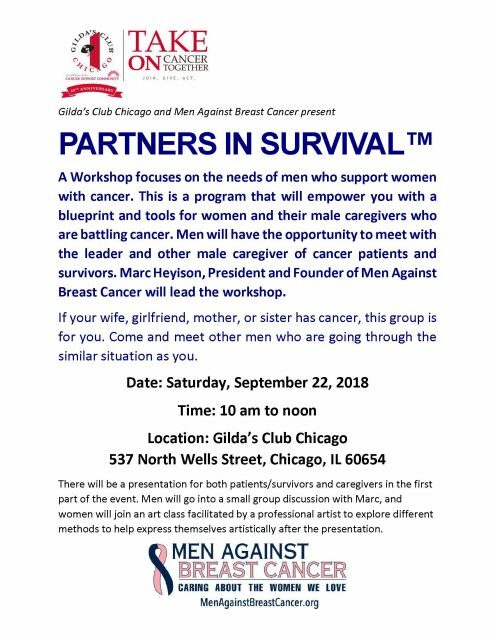 Marc Heyison, President and Founder of Men Against Breast Cancer will lead the workshop. If your wife, girlfriend, mother, or sister has cancer, this group is for you. Come and meet other men who are going through the similar situation as you.